Lipgloss & Lashes: Make a Splash with Birchbox this July! Hello Beauties! I hope you're all well and Happy July, I honestly can't believe were already over half way through the year. So much has happened this year and July is set to be one of the biggest months of the year for me...I'm moving to London, starting a new job and then to finish off the month I turn 22 on the 28th...so there's lots going on! With the start of every new month, comes a brand new Birchbox delivery and this really does get me excited for the beginning of a new month, no matter how sad that makes me. This months Birchbox, or Birchbag should I say, is the 'Make A Splash' edition which I think is the perfect theme for the time of year as there's plenty of people jetting all over the world and making the most of their summer. The first product I spied when I opened the bag was the Barely Beauty Sponge. I'm a big fan of beauty sponges to blend my cream products in, so I know I'll get a lot of use out of this product. However, Barely say that although this can be used for cream base products, it's intended use is for blending skincare and primers into the skin, in order to prep the skin for foundation application. I honestly don't think I'll use it for it's intended use and just stick to blending my foundation with this, but I was nevertheless excited to receive this product. 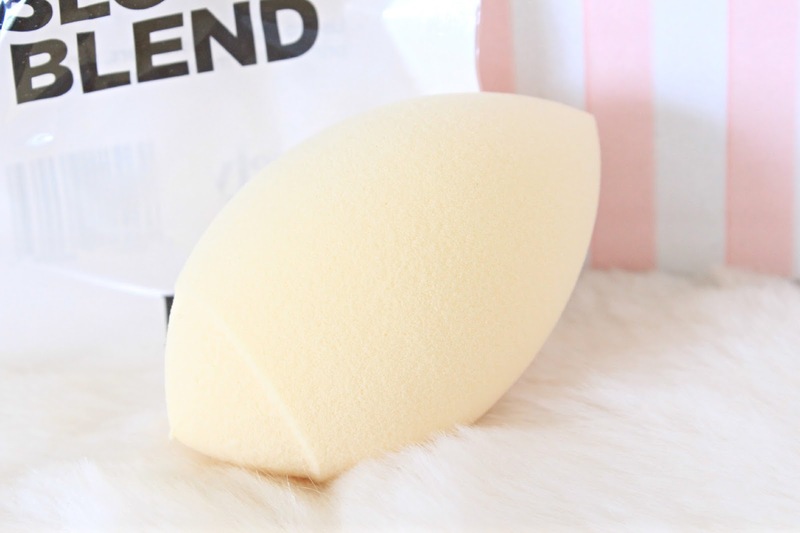 It's a lot like the beauty blender really in the way it doubles in size when wet and it has pointed ends and no edges, etc however this sponge is a little softer in my opinion. No matter how hard I try, I always manage to get a little bit burnt during the summer so this product will be really handy to have around. It's a clear gel with little scent so it can easily be used with perfumes and other body products which I like, and it's also really cooling so perfect for those burnt shoulders! I think this product goes really well with the 'make a splash' theme and was happy to receive it in this months bag. Durning the summer my skin always tends to suffer a little more...the abundance of suncream in addition to getting a little sweaty in the heat (I'm lovely, I know) usually leads to a few major break outs so I was happy to receive this little congested skin serum. I normally hate receiving skincare in these boxes as they're always geared towards those looking to add some radiance to their completion but this sample is actually something I'll use which is always a bonus. The serum is really light and smells quite citrusy and fresh so it's perfect for this time of year when you really want that fresh feeling. I always enjoy recieving Benefit samples in my Birchbox and this one seems perfect for this time of year, with it being a sunscreen and all that. 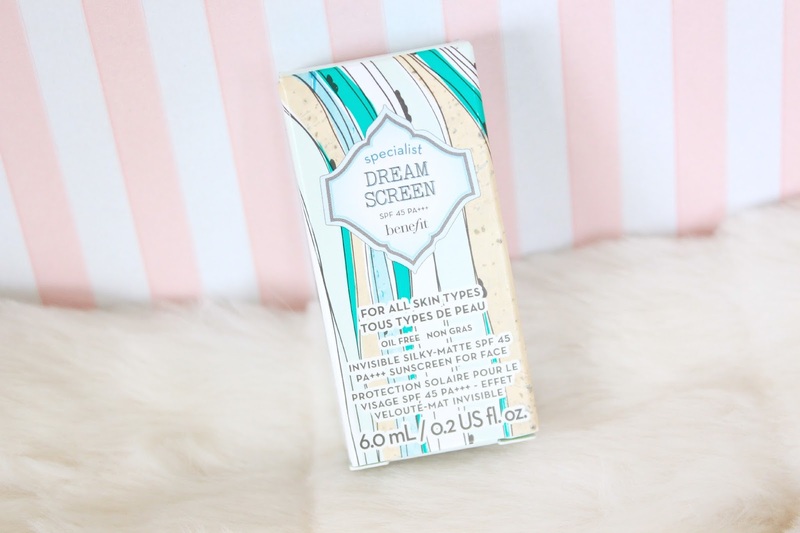 The Dream Screen got a lot of hype last year but as I still had my Decleor Facial Sunscreen I didn't really feel the need to purchase another, as lets face it, suncream is hardly the most exciting product. However, I absolutely love this sample and may have to go out and purchase the full size, even if it is an eye watering £25. The sunscreen is light and applies kind of like serum so it sinks into your skin straight away without leaving that horrible greasy feeling behind. This product also has that typical suncream smell, which I love...it reminds me of holidays and summers when I was little and always brings back lovely memories. Jelly Pong Pong isn't a brand I've heard much about, I tried a couple of their products years ago after getting some at the Clothes Show Live, so I was happy for another chance to try out the brand. The Glow Getter Luminizer gel comes in a little nail polish like bottle with a brush, and is a gorgeous golden champagne colour...perfect for the summer months. This actually really reminds me of the Benefit Cosmetcis Sun Beam which has been on my wish list for months now. I've actually been really enjoying this highlighter (and I'm not the biggest fan of liquid/gel highlighters) as it adds just the right amount of glow to my cheekbones and it's just the right amount of bronze for my pale complexion. 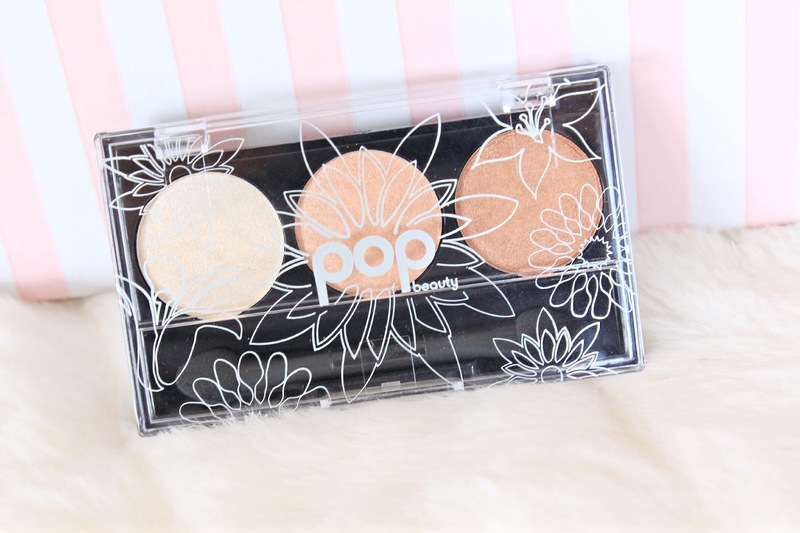 The last item I received in my Birchbox this month was this little POP Beauty eyeshadow palette. I always enjoy receiving makeup products in these boxes as opposed to skincare as I find they're more suited to my interests, so I was really happy to receive this as well as the Jelly Pong Pong highlighter. The palette comes with a highlight colour, lid colour and crease colour making it a great little travel palette as you've got everything you need in a little compact. I didn't think I'd be too impressed with this eyeshadow palette judging by it's packaging (I know you should never judge a book by it's cover but you know..) but I actually really like this palette. 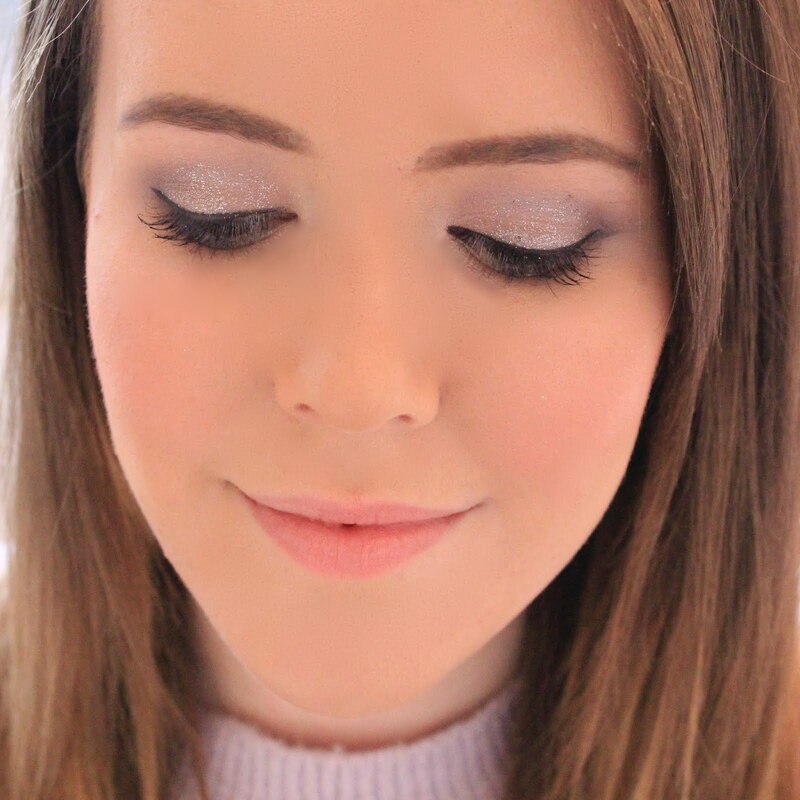 The eyehadows are pigmented, soft and blendable which are the three main things I look for when it comes to eyeshadow. Overall, I'm thoroughly impressed with this months Birchbox. I think all of the products are great for this time of year and actually go with the theme for once...plus, who could be disappointed with two full size products? What did you think of this months offering? 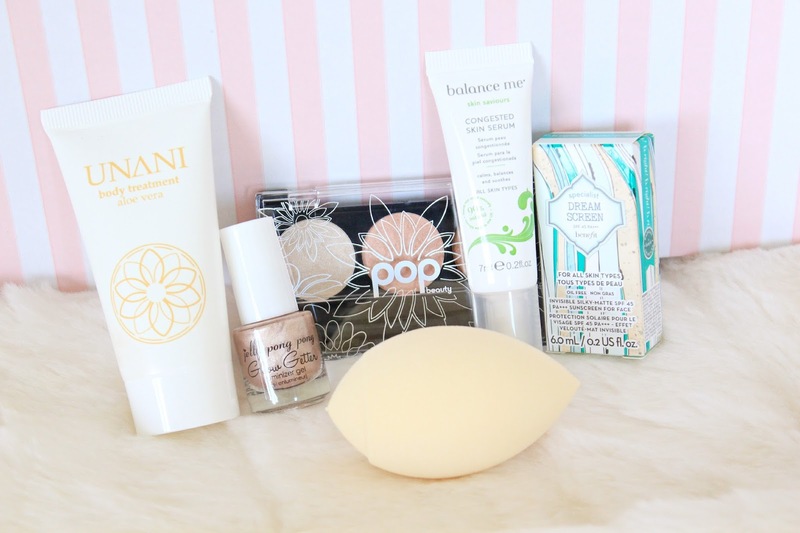 Seems like a great box and I love getting makeup more than skincare too but I do want to try the Benefit sunscreen. This box sounds lovely! The Balance Me serum sounds great! What a pretty Birch box this month. I'm thinking of subscribing. I've been trying to figure out the perfect subscription box. I did try Wantable and was disappointed so now I'm on the hunt again.